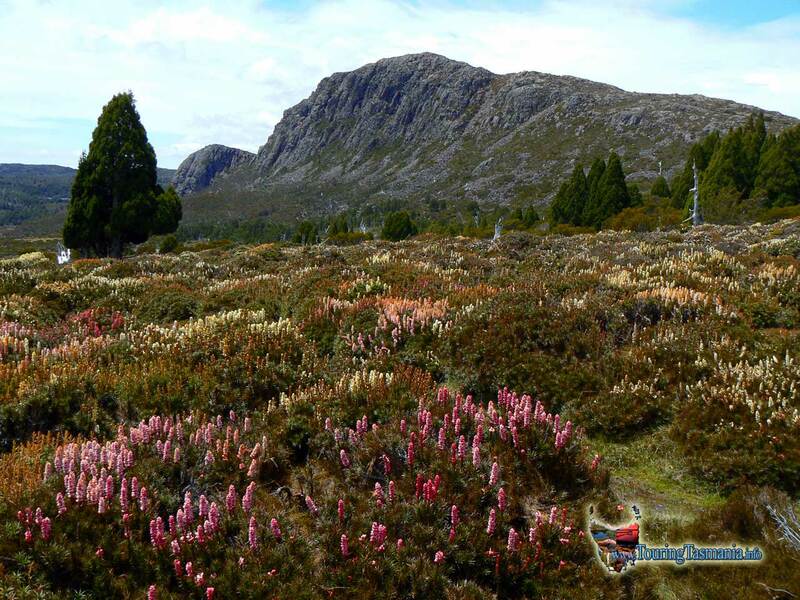 The Walls of Jerusalem National Park is regarded by many visitors to the wilderness areas as the jewel in the crown of Tasmania's national parks. Although relatively small the park is exceptionally beautiful, particularly during summer with a mass of wildflowers in full bloom. The most popular walk is the one to the "Central Walls" from next to the Fish River by Lake Rowallan. See the Walls of Jerusalem Day Walk. Access is via the Mersey Forest road. From Deloraine continue on through Mole Creek. Beyond Mole Creek continue past the Mole Creek Caves. The way is well signposted. The Mersey Forest Road also provides access to numerous other walks. 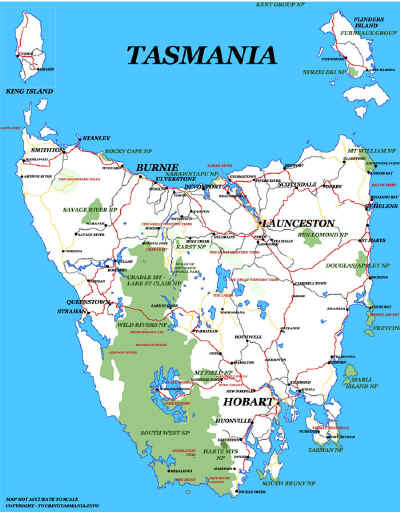 We have also included the Mole Creek Karst National Park in this area of our site. Mt Jerusalem - a very long day walk. Cushion Plant and Coral Fern by Lake Salome. 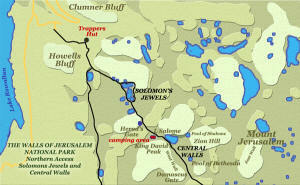 The Walls of Jerusalem.